In addition to marketing of equipment, our broad range of services includes assistance in executing tests, removal of machines, provision of repair and overhaul, organisation and execution of transport of equipment, and provision of technical assistance, training and other services. We have gained extensive experience over the years in the field of trading and project coordination, supply and placement of suitable printing equipment. We take into account a concrete situation at a particular time and place. We define the objectives and determine the services for a specific project together with the customer. 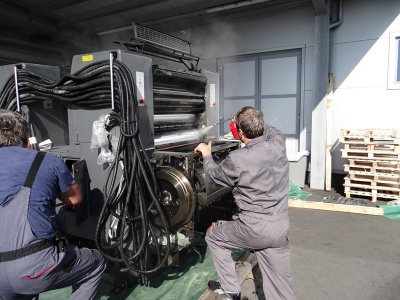 Based on our competences, an excellent team of co-workers and renowned partners from the printing industry across Europe, our customers know that we are worthy of their trust and will meet their expectations in planning and implementing the projects for the supply or sale of graphic machines and equipment. 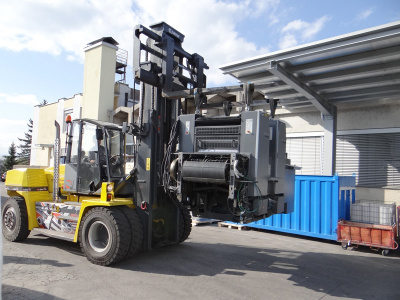 We take care of all activities relating to moving of equipment, transport and formalities associated with moving printing machines and other graphic equipment. Our standards are very restrictive about security and quality. For the transportation of goods by land or sea, we cooperate with partners who have the best references and insurance in order to ensure complete safety of project implementation. 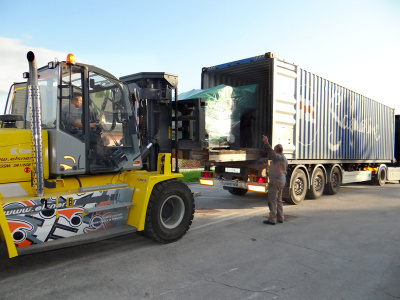 For examples overseas transport of machinery we organize loading equipment in the ocean container or flat rack containers, while providing adequate protection of the goods and where appropriate thermal treatment of package. Find attached our standard container loading procedure of printing machines for oversea transport. We operate in accordance with the Incoterms rules and standards. We also offer assistance to our customers in obtaining appropriate documents for customs clearance procedures relating to import and export. Our geographic position gives us a good opportunity to connect the Western European market with the Balkan countries, the Eastern Europe and the Far East. We got excellent road connections, near us are located important airports like Ljubljana, Zagreb, Graz, Klagenfurt and also seaports Koper-Capodistria, Trieste and Rijeka. 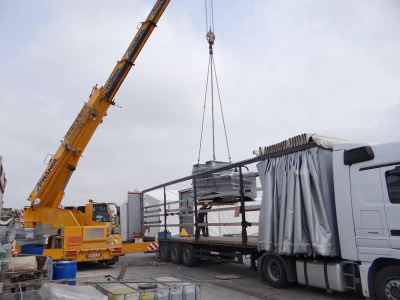 In accordance with the wishes or needs of a particular project, we offer our customers integrated solutions for the removal and installation of machines. We collaborate with renowned technicians from Slovenia and abroad. Moving of machines and handling of equipment are performed by the best qualified companies that provide such services. The removal and installation of graphic machines and equipment may be organised in Slovenia or abroad. We offer advice and support to our customers in selecting suitable equipment, executing tests and practical demonstration, placement and start of equipment, and organising training for particular types of graphic machines. Technical assistance also includes maintenance and service of graphic equipment (e.g. 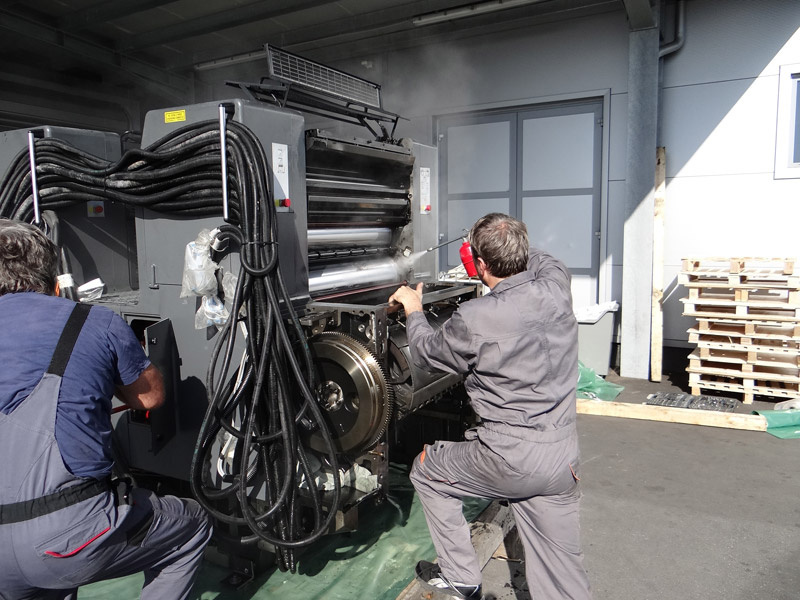 overhaul of washing systems of printing machines, repair of damaged cylinders, replacement and positioning of feeders. etc.). We perform appraisal and valuation of graphic machines, and offer support in obtaining appropriate financing sources and concluding insurance policies for project segments.